Stress can have some seriously negative side effects on your body and overall health, cause of heart disease and obesity, and even weaken your immune system, making you more susceptible to illness. Stress is also known to result in some less serious problems, like acne…and at some point, you’ve probably heard the old adage that stress can cause gray hair. That last part, though, is kind of confusing, because it seems like no one really knows for sure. So, does stress cause gray hair for real or what? Here’s the deal: The roots of each strand of hair are surrounded by a hair follicle, which is a tube of tissue under the skin. Each hair follicle contains a certain number of pigment cells, which make a chemical called melanin. Melanin is what determines the color of your hair, whether it’s brown, blonde, or red. The color of your hair depends on how much melanin each strand has. As we age, the pigment cells in our hair follicles begin to die. The fewer pigment cells there are, the less melanin there is, meaning the strands will become more transparent — i.e. gray, silver, or white. That’s the scientific reason hair turns gray — because you’re aging, and your hair is losing melanin. If stress does cause gray hair, then that means it is speeding up the aging process. We spoke with Dr. Jennifer Wider, a women’s health expert, to get her professional thoughts on the myth. Dr. Wider said, "There is evidence that stress hormones may play a role in altering the lifespan or activity of the pigment cells in our body — but it's a gradual process with other factors (like hair care, hair stress, and genetics) playing a role, too." The short answer here is that, yes, stress can cause gray hair. The longer answer, though, is that while stress may play a part in graying hair, it’s extremely hard to tell if that’s the only factor — chances are good that it isn’t. As Dr. Wider noted, there are so many other things that can cause gray hair. In fact, what probably influences gray hair growth the most is genetics. Scientific American notes the same: “Stress hormones may impact the survival and/or activity of melanocytes, but no clear link has been found between stress and gray hair.” In other words, yes, stress might cause gray hair…but no one really knows for sure. Still, you’ll want to keep your stress levels under control, gray hair or not. 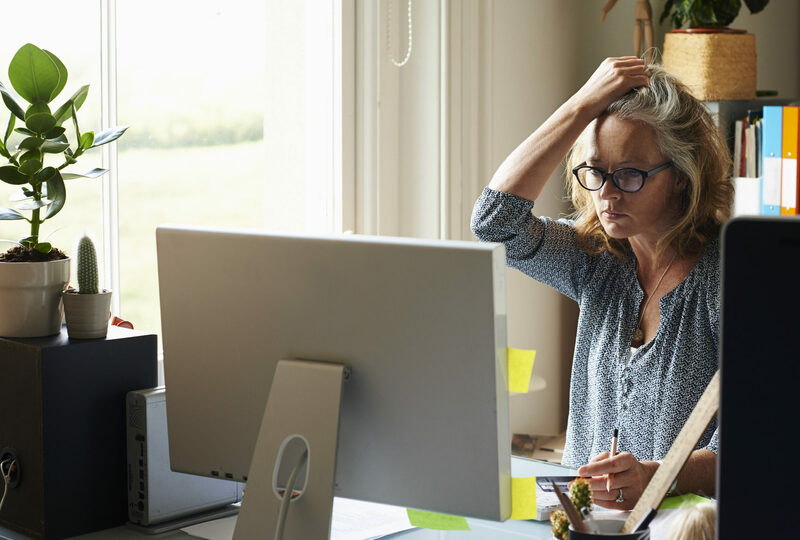 Stress can do a lot more damage than just giving you a different look (and gray hair certainly isn’t the worst thing in the world), so make sure you do what you need to do to keep yourself as calm and relaxed as possible.